How do you trade? Do you short spikes? Play penny stocks? That is a big question and everyone most likely has a different answer, but I will give you my answer, as it works for me, and has made me a profitable trader. One of the biggest problems that I used to have was that I would follow an alert by someone else blindly, sometimes I would score but more often than not, I would get crushed, or make nothing at all. I would tend to chase stocks, watch them go up and up, then finally buy it, only to see myself nearly buy the top so many times, it was getting sick of it, and losing money in the process. Nothing seemed to work, until I decided to trade based on what I was willing to lose in order to make, Risk vs. Reward. Once this change happened in my trading, everything started to click; I wouldn’t buy a single stock if my Risk/Reward was at least 2:1 but almost always 3:1. This enabled me to hold during a quick downswing, knowing I will accept the loss if I am wrong, but if I am right, its money time. Let’s get on to the real part of the lesson where I teach you how to transform your trading into this style, if you choose to. Take a look at the 3 month chart of $ZLC for the time frame during 2012. The closing price on the last candle is $5.84 and the breakout/resistance is $6. After the three large green candles the low is around $5.55. So you decide to take a position of 1,000 shares on the breakout anticipation at $6 with the idea of selling into strength at $6.50. What is your risk? Where do you sell if it goes against you? These are the questions you need to ask yourself BEFORE you enter your trade. Here is what I would do, if in the same position. 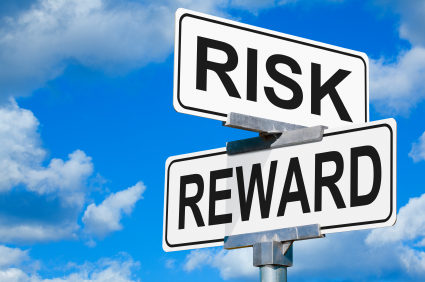 You are looking for a reward of $500 (selling 1k shares from $6 to $6.50) we will assume a risk/reward of 3:1 on this trade so your sell/loss would be around $150 or at $5.85. You can put this method towards all of your trading, as it has helped me immensely, turning me from a losing trader into a profitable trader.